PHP Constructor, If a class name and function name will be similar in that case function is known as constructor. Constructor is special type of method because its name is similar to class name. Constructor automatically calls when object will be initializing. Note : Here we have called testA() method but we didn’t call A() method because it automatically called when object is initialized. 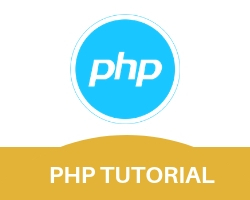 PHP introduce a new functionality to define a constructor i.e __construct(). By using this function we can define a constructor. It is known as predefined constructor. Its better than user defined constructor because if we change class name then user defined constructor treated as normal method. Note: if predefined constructor and user defined constructor, both define in the same class, then predefined constructor treat like a Constructor while user defined constructor treated as normal method. The Destructor method will be called as soon as there are no other references to a particular object, or in any order during the shutdown sequence. Destructor automatically call at last. Note : _ _destruct() is used to define destructor.